I’m not saying that something should be unreadable. I’m saying that it should be readable, but it should suggest different meanings or that it should give a meaning. I’m saying that what we have now is about meaninglessness, through its familiarity, accessibility, not through its obscurity. Whereas Modernism, or what I take it to be (you’ve used the word), was meaningless to people because of its inaccessibility. What the media have done today is make a thing meaningless through its accessibility. And what I’m interested in is taking that accessibility and making meaning. I’m interested in dealing with complexity, yes. But not necessarily to the end of any romance with the obscure. Barbara Kruger in conversation with W.J. T. Mitchell, 1991. 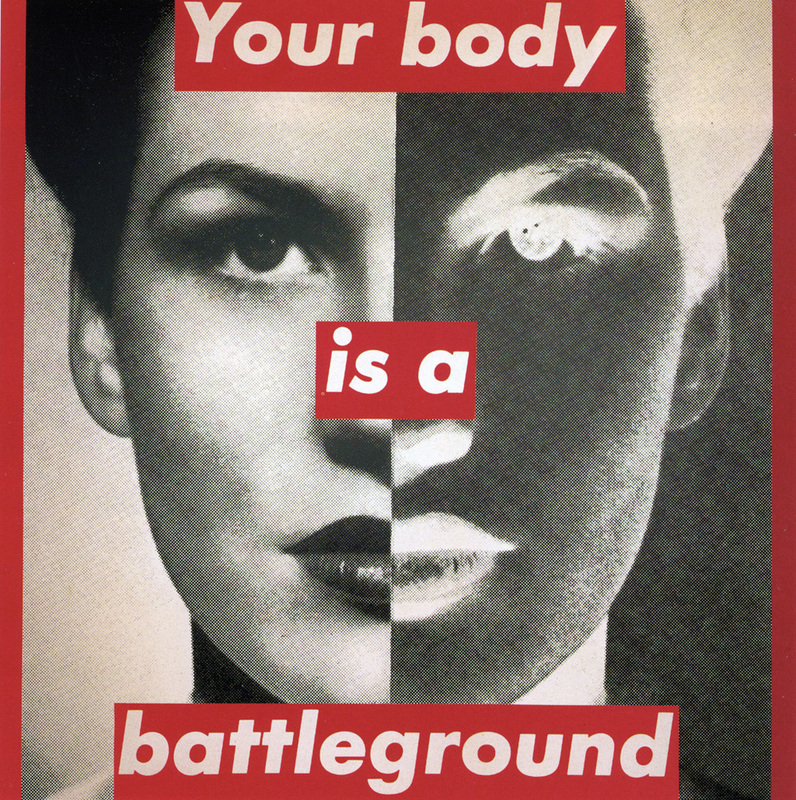 Barbara Kruger has been dealing with conceptual issues regarding imagery and abstraction all through her career – What do images do? What can we expect from them? What can they mean? What she understands is that even Modernism has been captured, represented and made into consumerist imagery. And this kind of consumerist Modernism is ubiquitous in the 21st Century. But Kruger engages it, twists it, makes this culture into a strong visual critique of our passive acceptance of Modern institutional power.